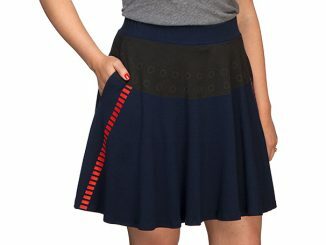 This is the droid skirt you’ve been looking for. 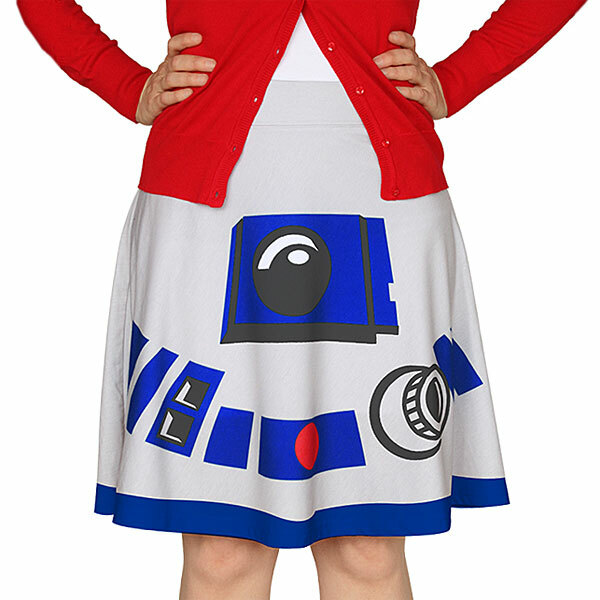 This Star Wars R2-D2 Skirt is playful and cute. 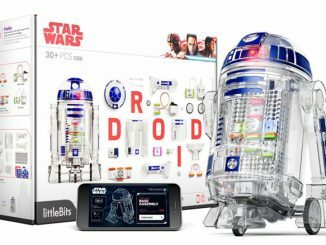 Plus it celebrates our favorite Star Wars droid. 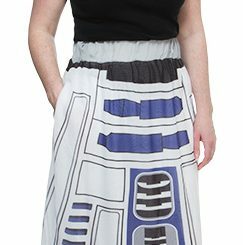 R2-D2’s dome never looked so stylish. 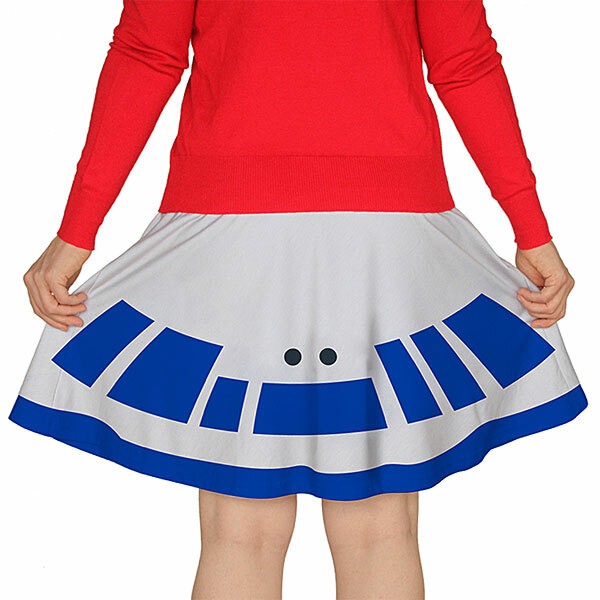 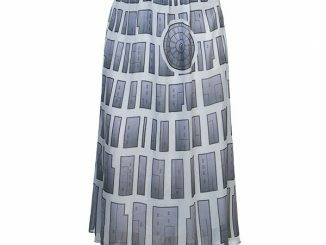 The R2-D2 Dome Circle Skirt is made from 96% polyester and 4% spandex and is fully-lined. 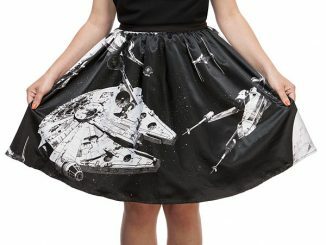 If you wear this, just don’t be surprised if you get accosted by Jawas looking to make a deal or steal some spare parts. 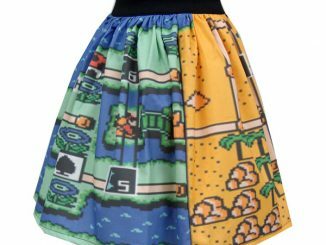 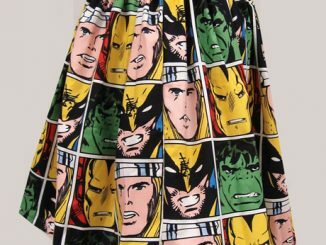 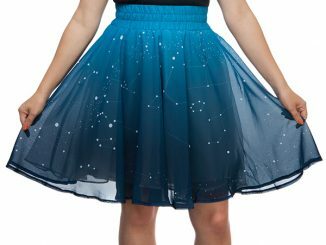 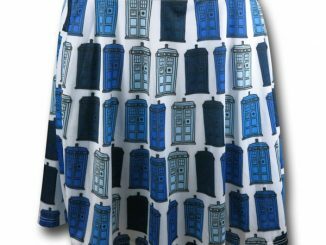 This skirt makes a fun gift for the geek girl in your life. 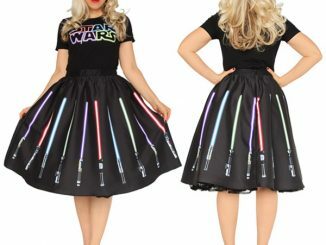 It is only $39.99 from ThinkGeek.com.